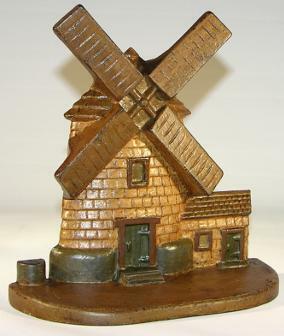 Windmill – Manuf Unknown, Circa 1930. 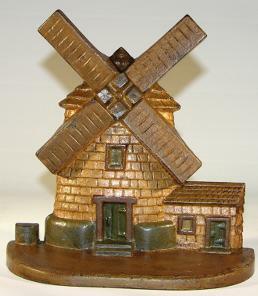 (Only 1) Iron, Polychrome finish. 7” high x 7” wide. Weighs a heavy 4-1/2 lbs. Inscribed #10 on back. Could be a doorstop. Beautifully done. Great detail. Wonderful condition.